When looking at our photos from Big Sur, it strikes me that taking pictures here makes you feel like a brilliant landscape photographer at the same time that it makes you feel completely inadequate trying to capture this much beauty in a simple photo. 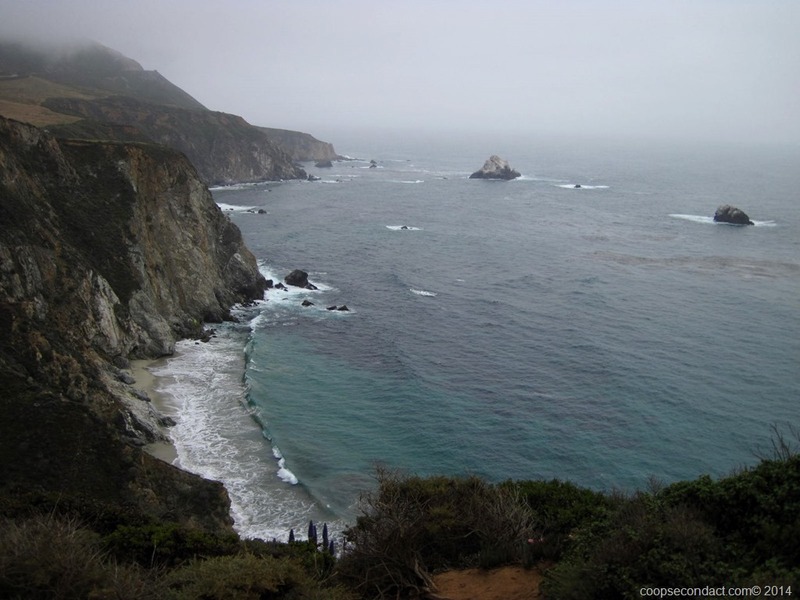 This iconic 90 mile stretch of highway along California’s central coast is coastline by which all other coastline should be judged. 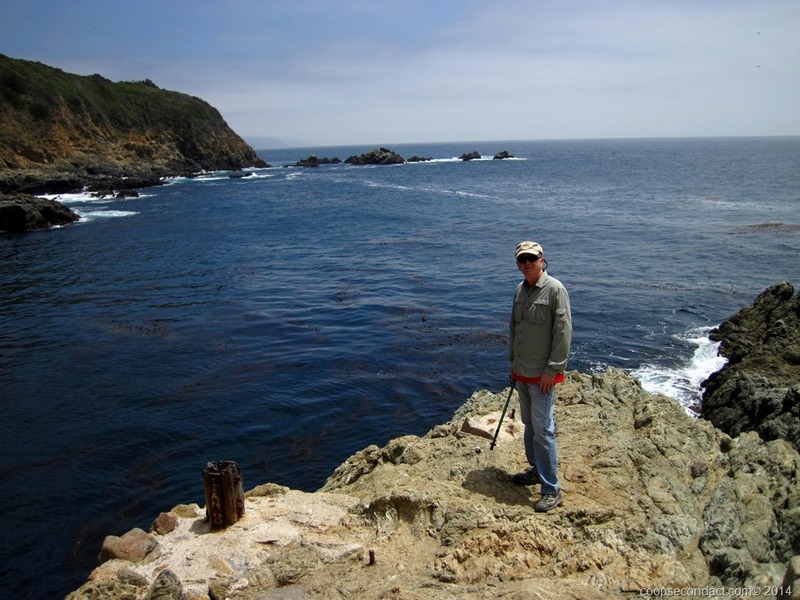 There are beaches, sheer cliffs, waterfalls, craggy rock formations, as well as seals and a variety of birds. The manner in which these elements are combined is breathtaking. Our first stop was a beach just south of the beginning of Big Sur near Point Piedras Blancas Lighthouse where elephant seals congregate. 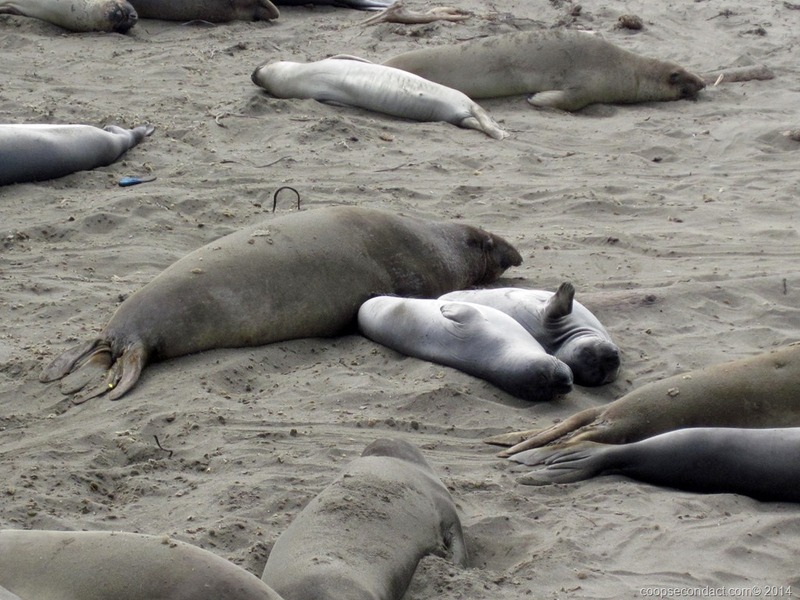 This is a rookery to which the seals return for pupping and molting, as they are at this time of year. Their visit here requires them to fast, no food or water during their month long stay. 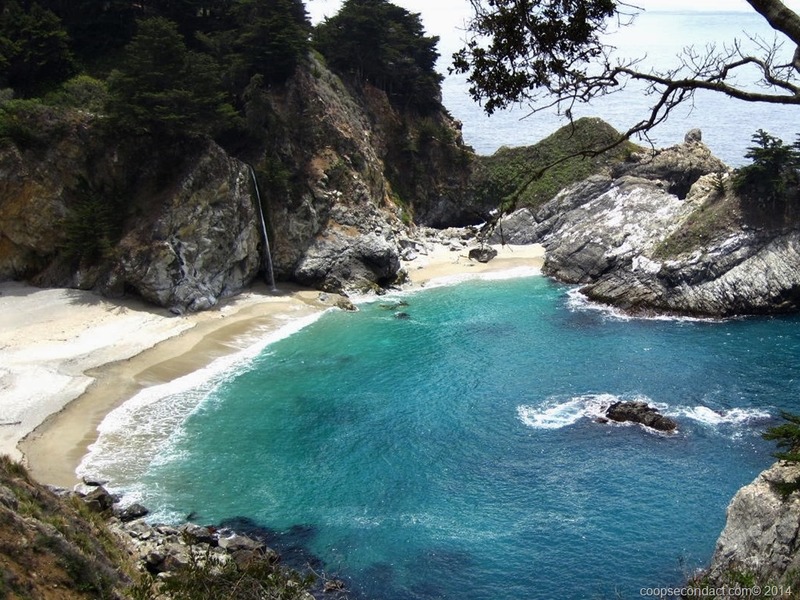 McWay Falls is an 80 foot tall “tidefall” located within Julia Pfeiffer Burns State Park. (Notice the waterfall just to the left of center in this photo.) Originally, it fell directly into the ocean but landslides in the mid-1980’s caused an inaccessible beach to form. In the late 1800’s, John Partington set up a business to harvest the bark of tanbark oaks. He used this cove to load his product onto ships for transport. You have to walk through a 60 foot tunnel in order to reach the cove. The trail down is a 280 elevation drop from the Big Sur highway. Prior to the building of this bridge, traversing this section of the coastline required a trip inland of about 30 miles and was virtually impossible to make during the winter. The bridge was completed in 1932 and at a height of 280 feet is one of the tallest single span bridges in the world. 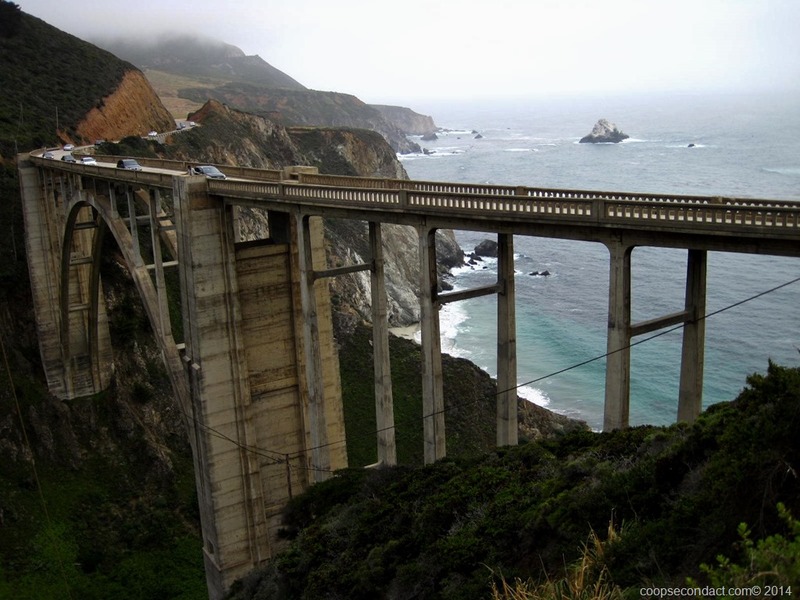 This bridge, more than anything else is an icon for Big Sur. Beautiful photos and scenery! Would love to see this in person some day!